Wai Cheung graduated from UBC Law in 1998 and was called to the bar in 1999. He has prior experience defending insurance carriers on casualty claims and coverage issues. 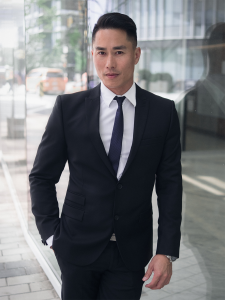 Before joining Cowley & Company, Wai spent 4 years with a prominent disability law firm fighting for his clients’ disability benefits and rights. Wai is now a Managing Partner with Cowley & Company and his primary focus of practice includes personal injury and disability insurance work, and he has appeared on numerous occasions before the Supreme Court and Court of Appeal with some leading authoritative decisions. He has also assisted clients in their CPP tribunal hearings and appeals. Wai is a member of the Trial Lawyers’ Association and has an interest in chronic pain cases. He understands that litigation can be a difficult and stressful process and he actively assists his clients in navigating and understanding the litigation process. Wai enjoys spending his time with his family and new daughter, Taylor, and hopes she is keen in following his many sporting hobbies. Wai plays in an ice hockey and softball league and is an avid skier. He was once a provincial tennis team member, and is always looking for someone new to play.